Inshaa’Allah, starting today (6th Sept. 2013/30 Shawwaal 1434), I will be pooling resources spread widely across the internet with a view to present the best material available on the subject Al Asma ul Husna, the Beautiful Names of Allah Subhanahu wa Ta’aala. Listen to this Explanation InshaaAllah. Allah calls Himself Al-Muqeet— The All-Sustainer, The All-Nourisher, The All-Preserver— on one occasion in the Quran. He is the powerful maintainer who sustains, nourishes, protects, and oversees all that exists. Al-Muqeet is taking care of all living beings by sending down all kinds of physical and spiritual nourishment for them! Muqeet come from the root qaaf-waw-taa, which carries four main meanings. The first meaning is to supply, maintain, and sustain. The second main meaning of this root is to feed and nourish. The third is to keep, preserve, and guard, and the fourth is to witness, observe, and watch over. This root appears twice in the Quran in two derived forms. Examples of these forms are aqwātahā (its sustenance) and muqeetan (a keeper). Al-Muqeet sustains bodies and the souls and He has taken it upon Himself to sustain His creation. As He creates all things, Al-Muqeet also creates what sustains them; He makes accessible what is necessary and what is luxury. He gives us what we need to survive, until He wills to put an end to life— then He simply withholds what keeps us alive. Al-Muqeet alone is capable and knowledgeable of everything. Al-Muqeet protects and sustains living beings; in this sense this name is strongly related to Al-Hafeedh, The Preserver. He does not only sustain our bodies with provisions like food and drink, but Al-Muqeet also for example sustains the heart through knowledge. Sustaining us is even more specific than the attribute of providing for us (Ar-Razzaaq)! “Al-Muqeet is the Sustainer; He is taking care of all living beings, for when He causes parts of them to die over time, He compensates for that. At every moment He gives them what they need to survive, until He wills to put an end to their life – then He withholds what keeps them alive, and so they die. Some reports give the name al-Mugheeth instead of al-Muqeet. Al-Mugheeth is interpreted as meaning the Helper, for He helps His slaves at times of difficulty when they call upon Him; He answers them and saves them. It also has the meaning of the One Who responds and the One Who is called upon. Ighaathah [help] refers to actions and istijaabah [responding] refers to words, but they may be used interchangeably. How Can We Live By This Name? 1. 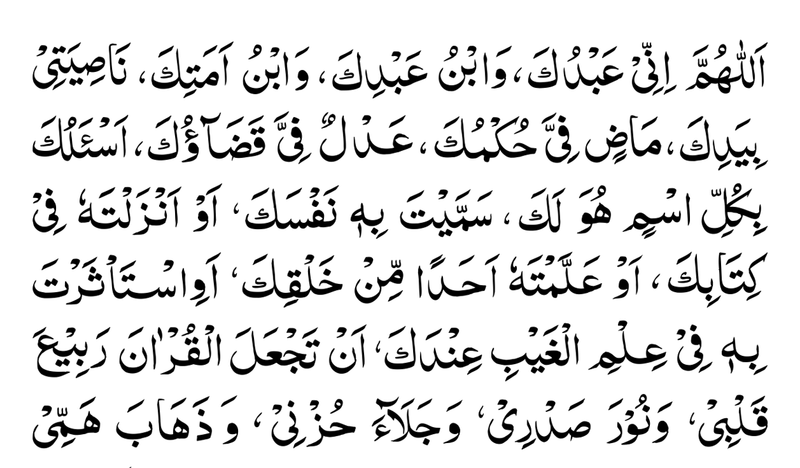 Make abundant dua to Al-Muqeet. Al-Muqeet hears the silent dua and responds to it and knows your affliction and is the only One Who removes it. Ibn al-Qayyim said: “He is the Helper of all His creatures, and He responds to those who are desperate.” Call upon Al-Muqeet, using this beautiful name, to ask to sustain your body with provisions and your heart with the knowledge of Islam. 2. Recognize Al-Muqeet in every sustenance. Let this name inspire you to equip yourself with this good manner: every time food is brought to you, recognize Al-Muqeet and His amazing grace through which you are provided with food. This goes for all the daily life provisions you never really think about, even the knowledge you are able to gain to strengthen your mind and heart. If you train yourself to such recognition you will be able to live by this Name. 3. Sustain others with the help of Al-Muqeet. If you are grateful to Al-Muqeet for His sustenance, protection and nourishment He will make you treasure-house for His servants, enabling you to sustain others, teach them knowledge, and lead them to the ever-Living, the Sustainer! 4. Seek your wishes from Al-Muqeet only. He can sustain and look after the whole creation without ever getting tired, so be sure Al-Muqeet looks after you in the best possible way. Rely on Him to provide for you, nourish you and protect you by never seeking haram means of sustenance or doubting in His power to maintain you. 6. Nourish your soul by faith in Al-Muqeet. Nourish your heart by having faith in His Oneness and nourish your soul by the five pillars of Islam; shahadah, prayer, zakat, fasting and Hajj. 7. Use your sustenance in the right way. Whatever Al-Muqeet blessed you with, protected you with and gave you access to, show Him that you use it to please Him and not to anger Him. Pay your zakah over your belongings, give abundant sadaqah with your time and skills and don’t misuse your sustenance by using it for haram things or by being ungrateful or unsatisfied. Allah calls Himself Al-Kareem— The Generous, The Honourable, The Beneficent— on two occasions in the Quran. He is Al-Kareem in both His essence, being the source of all virtue, good and honor. He is Al-Kareem in His dealings with His creation; He forgives, He follows through and His continually giving forth of the most precious bounties exceeds all expectations! Kareem, Akram, and Ikraam come from the root kaaf-raa-meem, which points out to two main meanings. The first meaning is to be generous, giving, and beneficent. The second main meaning of this root is to be highly esteemed, honoured and valued. This root appears 47 times in the Quran in eight derived forms. Examples of these forms areal-akram (“the Most Generous”), kareemun (“noble”), kiraaman (“dignified ones”), al-mukrameen (“the honoured ones”) and al-ikraam (“and Honor ”). 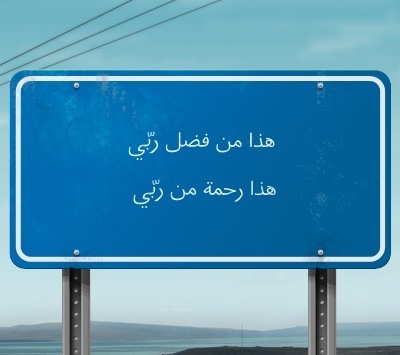 In the Arabic language ‘kareem’ does not just mean generous but the term embraces many meanings. ‘Kareem’ includes being forbearing, kind, gentle, patient, noble, pure and beneficial. In other words each and every laudable thing is being described as ‘kareem’. Examples are a precious ‘kareem’ stone, a beneficial ‘kareem’ letter and a noble, good-looking, a ‘kareem’ person. The name Al-Kareem implies all that is honourable, good, and virtuous and therefore is strongly related to various other Asmaa was-Sifaa (names and attributes) of Allah ‘azza wajal. Al-Kareem is related to Al-Wahhaab (The Giver) and Ar-Razzaaq (The Provider) in the sense that He initiates favors to His slaves, beyond what we deserve. Al-Kareem brought you into existence even though He was not obliged to do so. Al-Kareem gives us the whole world, as He tells us: It is He Who created for you all that is in the earth. 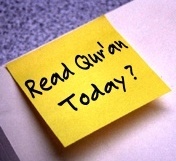 [Quran, 2: 29] Our book, the Quran, is not only an instruction but also a cure. Our prayers are not only rituals, but also treasure chests of multiple rewards. Our food is not just one kind, but an amazing variety of tastes, structures and flavours; this is the giving of Al-Kareem! Al-Kareem is related to Al-‘Afuw (The Pardoner) because even when you sin and forget about it, Allah deals with you generously and makes you live comfortably. It is He who covers your sins and when you turn to Him out of His amazing generosity He doesn’t just forgive but completely erases your bad deeds and on top of this turns them into good deeds. He is At-Tawwaab. What a generous Lord! Related to Ash-Shakoor (The Appreciative), Al-Kareem rewards you generously when you only present to Him little sincere acts of worship. The ultimate example is Jannah: everlasting pleasure for a couple of years of worship in this life! Al-Kareem is also related to Al-Haleem (the Forebearing), whenever He gives He gives most generously and when Al-Kareem is disobeyed, He forgives most forbearingly, subhanAllah.He has the most generous and gracious way of forgiving. His Attribute of karam truly is beyond our imagination! 1. Be generous to be close to Al-Kareem. 2. Develop a relationship with the Quran al-Kareem. Allah’s book, the Quran, is kareem because it is full of benefits and guidance, good things and blessings, it includes not a single error or contradiction. 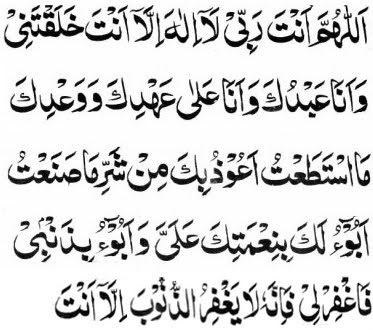 Open Al-Quran al-Kareem at least every single day; even if you read one ayah a day, understand it and let it transform your character, mind and heart and see how it will make you more kareem, insha’Allah! 3. Spread the message of Islam. Al-Kareem honoured (karram-na) us as human beings and specifically honours us as Muslims. 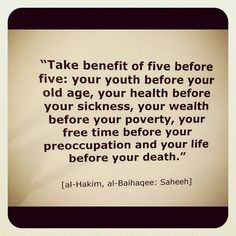 Recognize the worth Al-Kareem gave you in being a human being with intellect and use it to benefit the Ummah. Share the ayaat of the Quran with others, teach someone else, even if it is one hadith and spread the message of Islam by showing beautiful, honorable manners to non-Muslims. 4. Don’t forget the fire. Al-Kareem says: O man! What has made you careless about your Lord, Al-Kareem (the Generous). 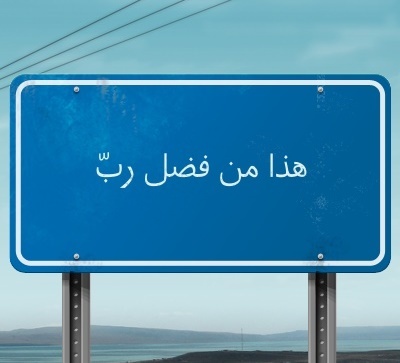 Study about Allah, learning about His names and attributes and what they mean to you. Do not be deceived by this world and by the Shaytan. Know that Al-Kareem will never let down those who spend their lives obeying Him, even though others might say practicing your deen is not “cool.” Don’t ever think those who have much in this life but are denying Him, will have any share in the Hereafter. You are here because of Him and for Him; use the intellect and skills Al-Kareem gave You to work towards His pleasure and His ultimate generosity: Paradise! Mujeeb comes from the root jeem-waw-baa, which points to three main meanings. The first meaning is to answer, reply, respond, and accept. The second main meaning is to cut, pierce, or penetrate and the third is to have a dialogue or conference. Al-Mujeeb is the One who answers prayers, responds to needs, and accepts praise. He is the One who penetrates each obstacle in order to respond. The name Al-Mujeeb is related in meaning to Al-Hakeem (The All-Wise), Al-‘Aleem (The All-Knowing), As-Samee’ (The All-Hearing), Al-Baseer (The All-Seeing), Al-Wahhaab (The Giver of Gifts) and Al-Kareem. He responds to our requests in a way that displays His ultimate wisdom and knowledge. While we call out to Him He is All-Hearing and All-Seeing and He often gives us more than we deserve or even ask. He is the Most Generous. 1. Respond to the call of Al-Mujeeb. Al-Mujeeb says: When my servants ask thee concerning Me I am indeed close (to them); I listen to the prayer of every suppliant when he calls on Me; let them also with a will listen to My call and believe in Me; that they may walk in the right way. (Quran 2:186) Your share in this Name is that you are responsive to the commandments of Al-Mujeeb! 2. Know the art of asking. Ask for His forgiveness before you ask for anything, as was the formula of the Prophet Yunus ‘alayhi sallam when he desperately needed his supplication to be answered to be saved from the belly of the whale. Ask Al-Mujeeb for everything (halal) you wish in the Hereafter but also in this world. He loves it that you ask Him for everything you need in your deen and dunya (worldy matters). Ask him for clothing, a house to live in, food, drink, guidance, success etc. 3. Think good of Al-Mujeeb. Al-Mujeeb does not disappoint a believer who calls upon Him, however don’t be hasty as His delay is not His denial. The answer to your dua’ might come in a different form or time you wanted or expected. Made under the right circumstances – such as not earning haram income when asking Him or asking Him for something haram, like cutting of family ties – Al-Mujeeb responds to your dua, postpones it or prevents something bad from happening. 4. Practise four powerful Quranic supplications for four powerful responses. Al-Mujeeb relates to you the responses He gave after being supplicated to in different types of hardship. So whenever you are in a similar situation, apply the same dua’ and have faith in the response of Al-Mujeeb! 5. Do good to strive for your prayers being answered. 6. Respond to the servants of Al-Mujeeb. Be of those who don’t just respond to the plight of those in need but of those who also actively look themselves for those who are in need of support. Have an active attitude in relation to the requests of the environment you live in and of the Ummah as a whole!